Brick charmer nestled in a beautiful enclave of Murray Hill. Great lot with beautiful trees. 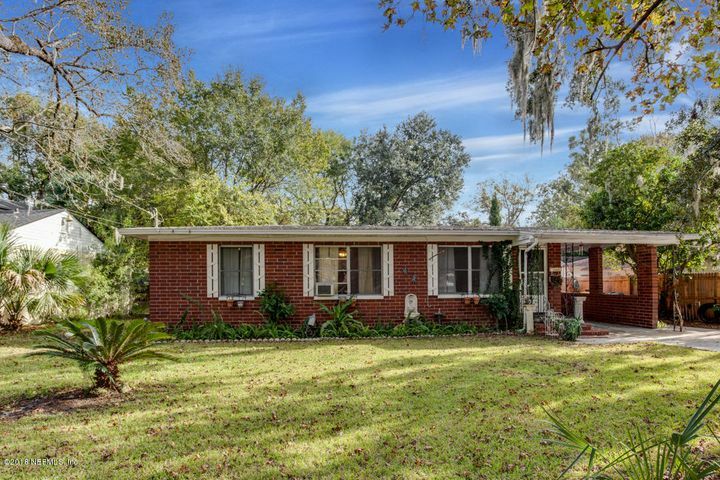 Over 1,500 sf with 3 bedrooms / 1 bath, this home could use a few minor updates, but has been well-maintained with a New Roof in 2013 and A/C approximately 5 years old. Huge Florida style great room with new windows perfect for entertaining. Big back yard with concrete patio and wooden deck for outdoor barbecues. Chicken coup optional! Solid wood floors throughout, real wood cabinets in kitchen- add your touch and upgrade with the money you save here - great value! Washer/Dryer included with storage room inside the home. Priced to sell, let's make a deal! 10X8 Storage Shed included. 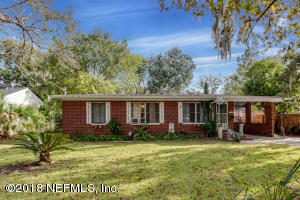 Short distance from Riverside, 5 Points, Downtown and less than 15 min drive to NAS Jax.